Dating back to the 13th century, this former abode of Dominican monks is now home to the university’s modern structure, with beautiful, well-lit learning spaces within charming stone walls. Nestled between the medieval walls of old Segovia and the Eresma river, the Convent of Santa Cruz la Real is made up of layers of history. Dating back to the 13th century, this former abode of Dominican monks is now home to the university’s modern structure, with beautiful, well-lit learning spaces within charming stone walls. The building was awarded national heritage status in 1931. Why is one of Segovia’s most historic buildings set outside the city center? Although a brief and pleasant stroll up some steps and through a few arches will take you from the campus to the heart of spectacular historical Segovia, the building is situated in its semi-concealed niche precisely because Saint Dominic, the founder of the Dominican religious order, chose a cave on this spot as his place of penance when he arrived in the city in 1218. Humility was to be replaced by pomp and circumstance in the 15th century, when the Catholic monarchs, King Ferdinand and Queen Isabella, gave their patronage to the convent. A new cloistered building and a mighty church were built on top of the simple original Romanesque structure. The Santa Cruz (Holy Cross) became Real (Royal) and the convent a central building in the life of the Spanish kingdom, with King Ferdinand and Queen Isabella attending mass in a church which, now deconsecrated, serves as the campus’s ceremonial hall. With the collapse of Segovia’s Dominican order during Spain’s convulsive 19th century, the convent fulfilled various functions, acting at different times as a residence for the elderly and an orphanage. Centuries on, IEU’s diverse body of students and faculty today get the best of both worlds in an inspirational historical setting with state-of-the-art facilities. The director of the Bachelor in Architecture, David Goodman, gives the refit his professional seal of approval as a “beautiful piece of work,” respecting history while providing ample space for technologically advanced spaces such as the Fab Lab, where architect and design students’ imaginings become reality through 3D printing and other forms of digital wizardry. Likewise, communication undergrads have a functioning media studio in a corner of the campus, a facility which also comes in handy when the international relations department needs to film a press conference after a mock political summit meeting. In short, the history of Santa Cruz la Real serves as an inspiration for tomorrow’s community leaders. Within the classrooms, study spaces, and several cafeterias on campus, students of over 100 nationalities come together in what for many is an invaluable cultural exchange at a formative moment in their lives. 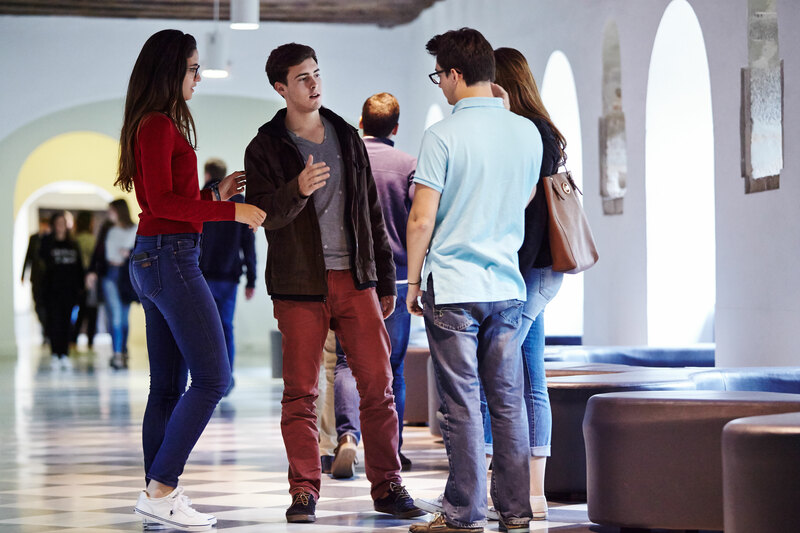 According to the Vice-Rector of Student Affairs, Miguel Larrañaga, there are over 40 student clubs offered at the campus in Segovia, a city he describes as a parent’s fantasy for their child’s first experience away from home. Segovia, Larrañaga says, provides a safe and welcoming atmosphere for young minds to develop. “There is no question in my mind that Segovia is a great campus, because the experience as part of the student body is so intense here; the sense of community is very strong.” Larrañaga encourages students to start initiatives and come to him and the Student Life department if they need support. The department can, for example, help fund a project or provide bus transport to the place where an activity is held whenever enough students express interest. “We will listen and are prepared to help. It’s the best way to learn,” he says. “I have learned so much from listening to my classmates from different countries. 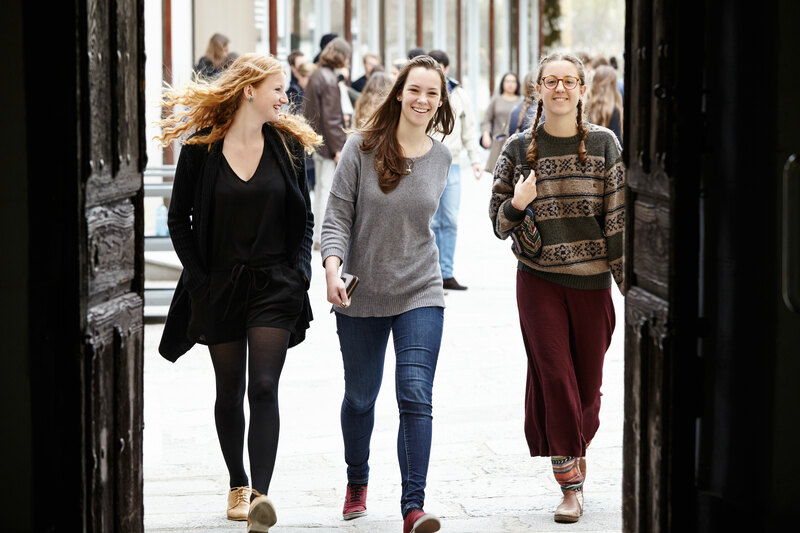 They have opened my eyes and made me think much more about the world we live in,” says María Paula Botero, a Colombian psychology student and active club member who is happy to have spent her four years in the safe and comfortable environment of Segovia, with Madrid just a train ride away for the occasional big-city jaunt. Accommodation is plentiful, varied to suit all tastes and reasonably priced for those on a tight budget. Mixing with locals and other students could not be easier in such a compact city with less than a mile separating the famous Roman aqueduct at the old quarter’s entrance and the dreamy Alcázar castle at the other extreme. Secured between its ancient walls and fortresses, Segovia offers an immersion in thought and academic exploration in a perfect environment for the student of any discipline.